In 1937, Congress passed a new Neutrality Act, amending the Neutrality Act of 1935. War between Japan and China attracted some interest, and the Roosevelt administration's response to Japanese aggression in China suited neutralists and pacifists. The Roosevelt administration denounced the use of force and called on Japan and China to settle their differences through peaceful negotiations. With its Neutrality Act the US would not be helping the Chinese, but Roosevelt was frustrated and worried that China had lost faith in the United States. 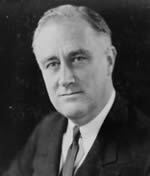 While Japan was expanding militarily in October 1937, Roosevelt condemned "terror and international lawlessness" and warned that Americans should not imagine that "if those things come to pass in other parts of the world... that this Western Hemisphere will not be attacked." Roosevelt was also frustrated regarding Europe. He wanted to prevent war in Europe by discouraging aggression. In October 1937 he proposed that the United States lead "peace loving nations" in placing aggressive nations – Japan, Germany and Italy - under quarantine. It was his first speech in which he warned the nation of approaching peril. What he meant by quarantine he did not say. He did not want to say anything that contravened the Neutrality Act, which he was duty-bound to uphold. But the speech raised a storm of criticism from isolationists that lasted for weeks. The isolationists wanted clarification from Roosevelt, and they complained that distinguishing between "peace-loving" and "warlike" nations was not neutrality but taking sides. Jews, understandably, saw Hitler's malevolence more readily than did others, and they tended to support Roosevelt and to oppose the isolationists. Rabbi Joseph Zeitlin of New York was among those who spoke out in support of Roosevelt's position. In Germany, Dr. Joseph Goebbels was watching and spoke of an internationalist Jewish conspiracy. Taking a stand in opposition to Roosevelt's position was the Veterans of Foreign Wars (VFW), which began circulating anti-war petitions. Senator Nye – the father of the Neutrality Act – spoke of events in Europe being similar to the drift toward war in 1914. Senator Burton Wheeler of Montana joined Nye, announcing that war would be no remedy for what he called "international anarchy." To deny Roosevelt powers concerning the declaration of war, a few congressmen were working on a bill that would make a declaration of war possible only through a nationwide referendum. In December 1937, Japanese airplanes destroyed three oil tankers and sank the USS Panay as it was motoring down the Yangzi River away from Nanjing -- recently overrun by the Japanese. Sinking of the Panay frightened more Americans into signing a petition favoring a national referendum before war could be declared. Joining the clamor for peace was the association called American Artists. On December 20 they urged avoidance of war. Meanwhile, according to the American journalist Howard K. Smith in Germany, US visitors to Germany were passing through four stages of reaction to their observations. Stage One was admiration for Germany's neatness, efficiency, prosperity and cleanliness, crediting these characteristics to Hitler's rule rather than realizing it existed before Hitler came to power. Stage Two was the noticing all of the guns, the marching in uniform and all the "Heil Hitler" salutes, with this military pageantry exciting to see. The problem, wrote Smith, was that the vast majority of Americans in Germany never progressed beyond stage two, either because their visit was so short or because they had "the sensitivity of a rhinoceros' hide and the profundity of a tea-saucer." Stage Three was "a strange, stark terror" from perceiving some of what was happening to Germans. Stage Four was fear and the realization that the rest of the world had no idea of the danger that Hitler posed to the world. In his annual message to Congress in January, Roosevelt said a threat to peace was coming from the dictatorships, and he spoke of the need for involvement in Europe to help prevent war. On March 12 German troops moved into Austria, and annexation of Austria was declared the following day. In the US some were complaining that Roosevelt was too interested in foreign affairs. Associations were made between Roosevelt and Woodrow Wilson. Dorothy Day began a movement absolute in its opposition to any sort of war. In April 1938, the Socialist Party announced that Roosevelt liberalism was "a prelude to war." Their leader, Norman Thomas, spoke against collective security as a way of stopping fascist aggression, and he spoke of staying out of war as a way of avoiding fascism in the United States. The American Federation of Labor joined the isolationists, its executive council announcing its opposition to any step that might lead to war. And the Catholic Press Association joined in the opposition against "entanglements." In June 1938, Joe Louis made his comeback by knocking out Germany's Max Schmeling, and there was joy in the United States. Then in September war loomed in Europe over Germany's conflict with Czechoslovakia and the Sudentenland. The Munich conference followed. Roosevelt tried to show the public his desire for peace and appeared happy with the agreement at Munich. But in private he expressed his doubts and his displeasure at what he called the capitulation of France and Great Britain. Politically he was in trouble. That November, largely in response to Roosevelt's failure to end the depression, the Republicans made substantial gains, adding eighty-one seats in the House of Representatives, gaining eight seats in the Senate and electing eleven governors. A few days after the November elections in the United States came Kristallnacht in Germany – the Night of Broken Glass, when Nazi troops and sympathizers looted and burned Jewish businesses. Roosevelt spoke out publicly, expressing his dismay and horror. He sent a protest to Germany and brought his ambassador to Germany home for consultations. The American Legion endorsed Roosevelt's statement, as did the CIO labor organization. Prominent movie stars – Fred Astaire, Claudette Colbert and Bette Davis – spoke out against the brutalities, Bette Davis suggesting that the US sever all economic ties with Hitler's Germany. Support among US citizens for the appeasement policy of Britain's prime minister, Chamberlain, diminished. In a Gallup poll that month, 94 percent expressed disapproval of "Nazi treatment of Jews." In that same poll, 97 percent disapproved of "Nazi treatment of Catholics." Also, Charles Lindbergh, who admired much that was German, was perplexed by Germany's treatment of the Jews as expressed during Kristallnacht. He could not, he said, understand why the Germans were handling their "Jewish problem" unreasonably. Although the overwhelming majority of US citizens were opposed to attacks on Jews such as occurred on Kristallnacht, in a Roper poll in the United States, only thirty-nine percent of the respondents agreed that Jews should be treated like everyone else. Fifty-three percent believed that "Jews are different and should be restricted." And ten percent believed that Jews should be deported. Kristallnacht inspired many Jews to emigrate from Germany, and in the United States the issue of immigration had risen. In the winter of 1938-39 many people denounced helping what they called "refu-jews." Seventy-one to eighty-five percent of those Americans polled opposed increasing national immigration quotas. Sixty-seven percent of those polled opposed admitting any refugees to the United States, and sixty-seven opposed a one-time admission of ten thousand refugee children. Roosevelt acquiesced to public opinion and did nothing to help change immigration quotas. A bill to admit 20,000 refugee children won no backing from Roosevelt and died in Congress. In private, however, Roosevelt was concerned about Jewish refugees and angered by Great Britain's appeasing Arab opposition to increased immigration to Palestine. Copyright © 2000-2014 by Frank E. Smitha. All rights reserved.